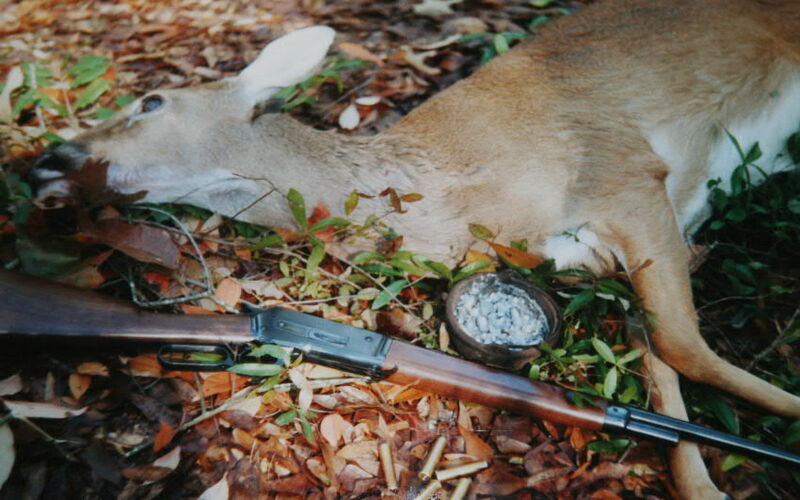 Deer killed with cast-bullet loads from an 1886 Winchester lever-action rifle. Soft or hollow-pointed bullets would have given better results. My selection as the best lever-action rifle ever made would be the Browning ExtraLite 1886 Winchester chambered for the historic .45-70 cartridge. This gun was a joy to carry, functioned smoothly, was reliable and could kill any North American game. After being first offered by Browning-Winchester and then discontinued, the ExtraLite again appeared at the 2010 Shot Show as an available items. 1886s in .45-70 replica editions of the rifle and carbine were also listed as available from Chiappa (These guns are carried by Taylor Gun Works, among others.) and Davide Pedersoli will have a round-barreled half-magazine version ready by mid-summer. Both the Chiappa and Pedersoli versions lack the tang safety which Browning added to the gun. It is hard to argue against additional safety devices, but I prefer the original versions. For hunters, I would recommend the Perdersoli as being the best value, while reenactors would probably gravitate towards Chiapps’ designs. 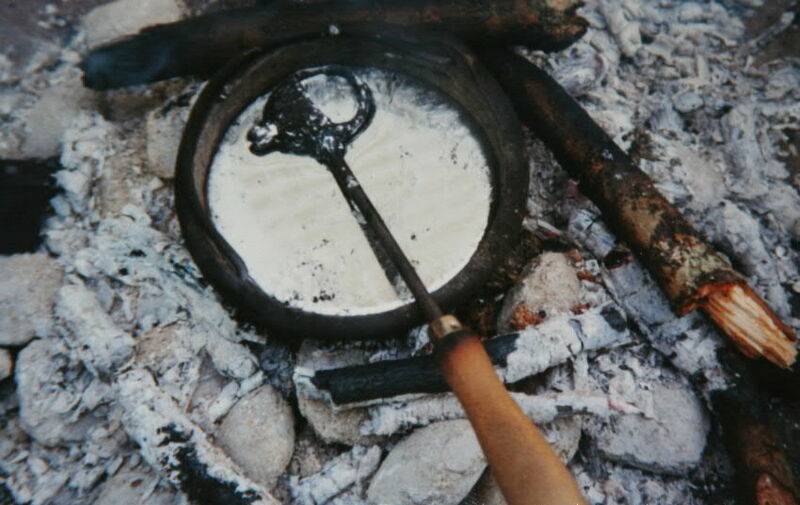 Casting over a fire is a primitive as you can get, but it is difficult to produce good bullets. I like the .47-70 because of the variety of loads that can be purchased and reloaded for it using relatively primitive reloading tools. For most uses expanding 300-grain bullets are fine for deer-sized game, the 405-grain soft-points are commonly available in mild loadings and high-velocity ammunition in this caliber is available from Winchester. 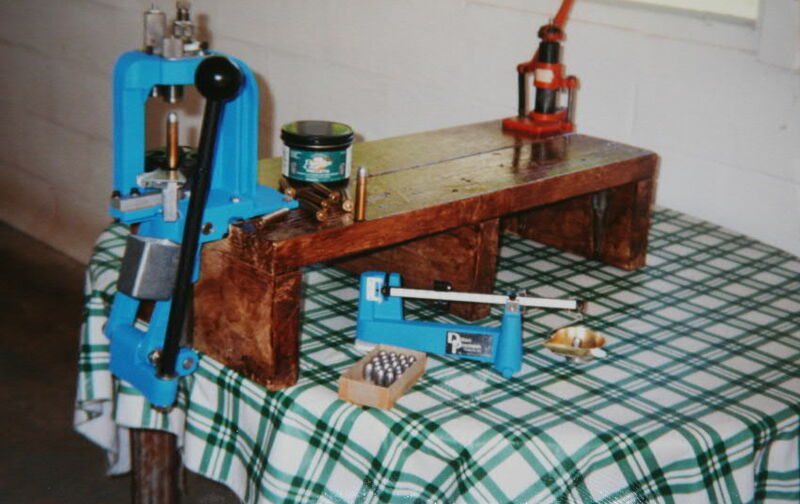 A simple reloading set-up for sizing bullets and loading a few dozen cartridges. Taking a more modern approach, my next best selection would be the Marlin Model XLR which has a 24-inch stainless barrel and is available in either .30-30 Winchester or the new .308 Marlin Express. I have shot this gun and like it. The new spire-pointed express round improves the bullet’s trajectory and increased its point-blank range. In addition, this gun can mount a scope for those of us with failing eyes. Another Marlin, the 1894 Cowboy, chambered in .44 Remington Magnum, has good handling characteristics, is chambered for a cartridge that can kill close-range deer and can be inexpensively reloaded. This is a 7.5-pound gun that is pleasant to shoot, even with higher-velocity loads. All of these are longer-barreled guns which are desirable in adding needed weight to dampen recoil and for more accurate placement of off-hand shots. Carbines are wonderful to carry, but difficult to shoot well. Even the .30-30 can be punishing in too light a gun. If I were to put one more rifle on my list it would be the .300 Savage Model 99. Although not as accurate as some later designs and shooting a now-uncommon cartridge, this was always an excellent deer rifle. If you still have your grandpa’s Savage 99, drag it out. It will surprize you. Comments on the .45-70 as a deer cartridge are in my book Backyard Deer Hunting: Converting deer to dinner for pennies per pound and more detailed information on guns like the .577 Snider are in my new book X-Treme Muzzleloading which will be released in the Fall of 2010. Go to www.hoveysmith.com for more details.